Andrew S. Erickson and Conor M. Kennedy, “China’s Daring Vanguard: IntroducingSanya City’s Maritime Militia,” Center for International Maritime Security, 5 November 2015. The following is the first in a five-part series meant to shed light on Hainan Province’s maritime militia. For decades, these irregular forces have been an important element of Chinese maritime force structure and operations. Now, with Beijing increasing its capabilities, presence, and pushback against other nations’ activities, in the South China Sea (SCS), Hainan’s leading maritime militia elements are poised to become even more significant. Yet they remain widely under-appreciated and misunderstood by foreign observers. Read the introduction to the article series here, which offers a general background on China’s maritime militia and explains its growing importance. Such lack of understanding is increasingly risky for U.S. policy-makers, planners, and military operators. This is particularly the case given recent, long-overdue American expression of determination to continue Freedom of Navigation Operations (FONOPS) in accordance with international law near Chinese-occupied and -augmented features in the Spratlys. 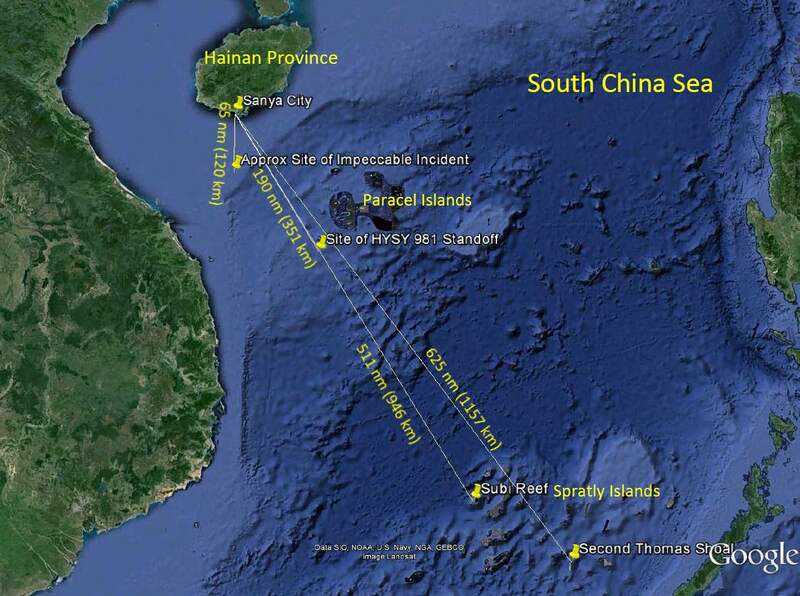 As demonstrated by apparent maritime militia operations in proximity to USS Lassen when it sailed near Subi Reef on 27 October 2015, Beijing may well see maritime militia as a tool with which to make FONOPS increasingly uncomfortable for U.S. forces while carefully calibrating its signaling and avoiding undue escalation. To help rectify this knowledge gap, we begin by introducing and analyzing maritime militia based in strategically-situated Sanya City, one of Hainan’s greatest naval, fishing, and maritime economic hubs. Prominent among Sanya-based maritime militia is the Sanya Fugang Fisheries Co., Ltd. (三亚福港渔业水产实业有限公司), founded in 2001. One of Sanya City’s major marine fisheries companies, Fugang Fisheries is composed primarily of Fujianese fishermen. A leading participant in both fishing expeditions to the Spratlys and harassment of foreign vessels there and elsewhere in the SCS, it has been celebrated for its bravery. Indeed, among even the vanguard militia units profiled in this series, Fugang Fisheries is itself at the vanguard. That helps to explain why it has been entrusted with supporting so many Chinese operations, and involved in so many related international incidents, in the SCS. Fugang has dispatched its vessels and crews as maritime militia in service of China’s maritime security efforts in the SCS, primarily for “rights protection” (维权), efforts to advance and defend China’s island and maritime claims that are increasingly in tension with Beijing’s parallel objective of “maintaining stable relations” (维稳) with its immediate neighbors and the United States. Focusing on Sanya’s maritime militia, Fugang Fisheries first among them, thus offers disproportionate insights into an important element of Chinese maritime policy and activity with direct implications for U.S. interests, presence, and influence in the SCS. In recent years, maritime militia forces from Sanya, including Fugang Fisheries, have participated in several significant maritime incidents between China and the United States, Vietnam, and the Philippines. The location of these incidents, together with their respective distances from Sanya City, is depicted below. On 8 March 2009, following several days of sporadic encounters, the ocean surveillance ship USNS Impeccable was surrounded by a group of five Chinese ships 75 miles (120 km) south of China’s Hainan Province in the SCS. 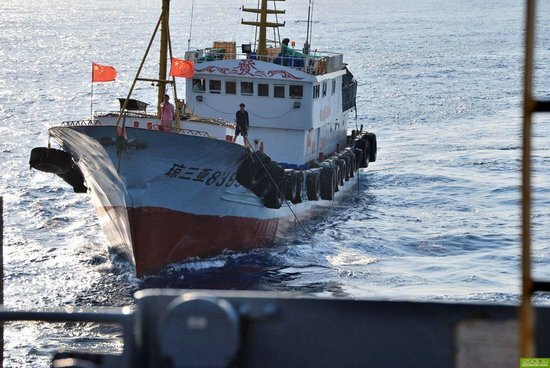 The contingent included a People’s Liberation Army Navy (PLAN) intelligence collection ship (AGI), a Fisheries Law Enforcement (FLE) patrol vessel, a State Oceanographic Administration patrol vessel, and two small Chinese-flagged trawlers. Close-in harassment by the trawlers ensued. China is one of a small minority of nations that insists it has the right to regulate foreign military operations and other activities it deems detrimental to its security in its Exclusive Economic Zone (EEZ). One of the trawlers involved, hull number F8399, belonged to Fugang Fisheries. The fishing trawlers, although dwarfed by the Impeccable, were successful in disrupting the normal operations of the U.S. vessel. Lin Wei (林魏), owner of the company’s largest ship, is reported to have piloted trawler F8399 during the Impeccable Incident, facing down the U.S. crew and its use of water hoses. Lin and his crew’s actions made them famous amongst the fishing communities when they returned to Sanya harbor. Videos of the Impeccable Incident may be viewed here. Five years later, trawler F8399 was lost to a fire in late April 2014, catching ablaze while in harbor. 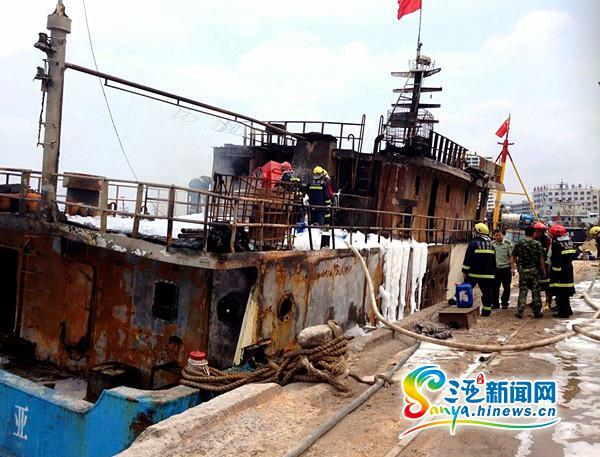 Although F8399 was a noteworthy trawler, its loss is a drop in the sea amongst the numerous trawlers available in Sanya. This is particularly true as Hainan supports programs to replace old hulls with newer, more capable trawlers well equipped to travel to, and operate around, the Spratlys. As will now be explained, while trawler F8399’s owner Lin Wei lost one ship, he has gained another one that is far larger and more capable. Sanya Fugang Fisheries Co. has developed the ability to conduct fishing expeditions to the Spratlys, a journey of over 600 nautical miles (1111 km). Central to these efforts is its 2011 construction of F8168, a 3,000-ton fisheries supply ship owned by Lin Wei that doubles as a command ship for Sanya fishing fleets heading to the Spratlys. In July 2012, command and supply ship F8168 led a fleet of 29 trawlers and 316 fishermen on an 18-day expedition to the Spratlys, covering 1,756 nautical miles (3,252 km).